(1) Easiest way is to Clone/Copy your Form from one of your accounts to the other. (2) If you don't want to do it that way, we can just move the form for you but this will only make it available on the new account that we moved it to and not the old account that it was originally on. 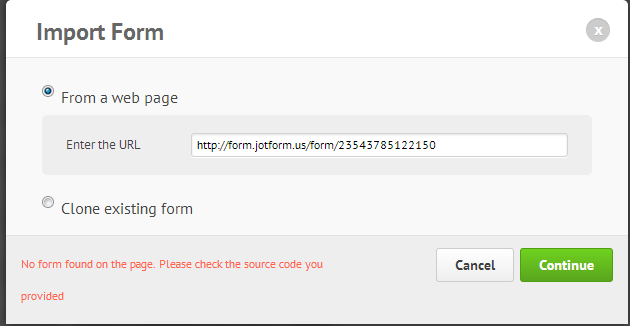 I’ve tried (#1) with a few forms including http://form.jotform.us/form/23543785122150 but I keep getting No form found on the page. 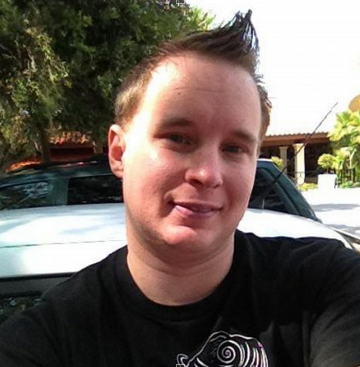 Please check the source code you provided. I just tried to clone your form throgh the "Create Form" >> "Import Form" >> "From Web Page" and i was able to clone successfully. 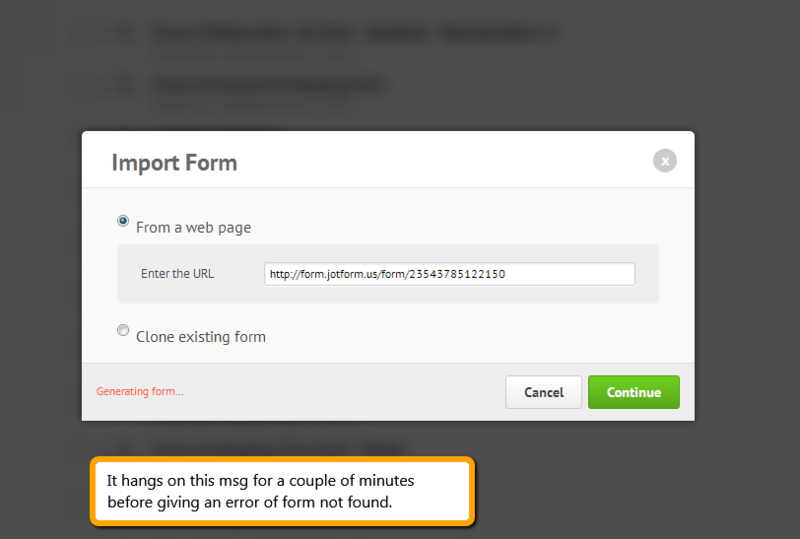 I am unable to reproduce the error you mentioned, i would suggest you to try again to clone your form in new account. I’ve tried this with a few forms including http://form.jotform.us/form/23543785122150 but I keep getting No form found on the page. Please check the source code you provided. Thank you for letting us know about this clonning issue. We'll be more then glad to move the forms for you! I have forwarded the clonning issue to our dev Team for further investigation. Our dev team will update this thread as soon as there are any news. For a temporary work-around, please replace the http://form... with http://www... on the URL of the form to be cloned. If you continue to experience issues, please do let us know.